Not even sure this “leaked” photo is even official. Has that been established yet? I don’t think so. But you CAN get excited ’cause imagine?! Check out the picture below. 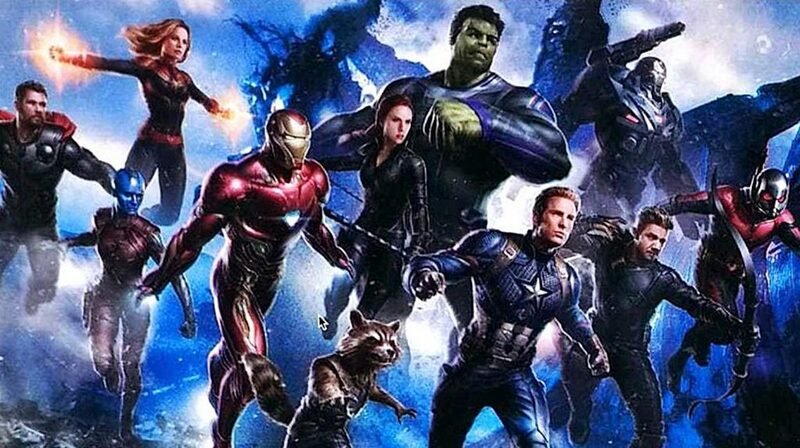 How about THAT as your Avenger 4 team! BOOM. The race is on to put out another big movie, Avengers: Infinity War was a juggernaut at the box office, the most successful opening night for Marvel ($39M USD). Which begs the question, how will Avengers 4 do? And if it makes $100M opening weekend, will it be deemed a failure like Han Solo: A Star Wars Story was? Meanwhile, don’t forget there’s Ant-Man and The Wasp still to come… July 6 in theatre. Man what a time to be alive for comic book nerds!